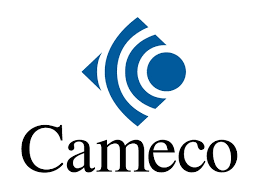 Cameco Corp (NYSE: CCJ) stock is trading subdued on Feb 11th, 2019 after the company’s 2018 performance in line with outlook provided and reported the adjusted net earnings of $211 million. The production was lower than 2017 due to the suspension of production at McArthur River/Key Lake and the change in reporting for Inkai. In 2018, CCJ undertook a number of deliberate and disciplined actions, which resulted in lower direct administration and exploration costs, lower capital expenditures and $1.1 billion in cash on the balance sheet largely due to the inventory drawdown. Meanwhile, CCJ along with the partner Orano, had announced the extended shutdown of McArthur River/Key Lake for an indeterminate duration removing 18 million pounds (100% basis) annually from the market. The action resulted in the permanent layoff of approximately 520 site employees. A reduced workforce of approximately 200 employees remain at the sites to keep the facilities in a state of safe care and maintenance. We incurred approximately $29 million in severance costs as a result of the permanent layoffs. Our share of the cash and non-cash costs to maintain both operations during the suspension is expected to range between $7 million and $9 million per month. In addition, to further decrease costs, the workforce at the corporate office was reduced by approximately 150 positions, resulting in severance costs of approximately $14 million. In accordance with the provisions in the supply agreement, an arbitration hearing to resolve the dispute took place during January of 2019. There are a number of post hearing steps and CCJ expect they will be completed by mid-May, 2019. The timing of the final decision will be dependent on how long the arbitrators deliberate following receipt of post-hearing submissions. For 2019, CCJ currently expect the gross margin could be weaker, the balance sheet will remain strong. CCJ will continue to maintain a significant cash balance, and generate cash from operations, allowing the company to self-manage risk.